Client work isn’t for everybody. It’s messy, stressful, difficult, and sometimes terrifying. Here's how to get by without having to do client work as a designer. Client work isn’t for everybody. It’s messy, stressful, difficult, and sometimes terrifying. Client work isn’t even my only source of income as a designer. It’s just another cog in the machine, or a piece of the engine. And just because you know how to design something doesn’t automatically entitle you to being paid. With considerable cash flow comes considerable effort. For those of us who are still looking for creative ways to get some extra money for the creative things we do, I’ve got some solutions that don’t involve having to navigate the sticky world of client work. 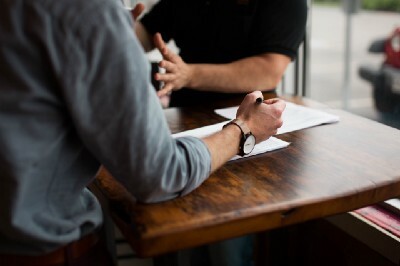 I will stand by my declaration that working with clients is still a very quick way to make some extra money, but let’s take a look at what other steps you can take to start earning some money on the side. I know people are even taking these ventures full time and make a living off of the income, so hopefully you can get a lot out of what I’m about to share. There are a handful of digital artists and designers that are making a living online by selling digital assets and resources that otherwise would just end up in an unused folder on our desktop or laptop. Some of these people have tapped into big markets; some people’s focus is so niche you need a microscope to find them on the internet. Each one, however, has started carving out their own personal space online. Each method of income is different, and this is not intended as a guide of how to set these sources up. This is rather a guide to show you what’s possible and available to you in hopes that you consider the small ways that you can impact your career by using your creative talent in an unexpected way. The one that I’ve used in the past is Podia (formerly Coach) which has allowed me to put up an online store quickly. I’m currently working on transferring everything to my own custom solution which will be live on the 25th of June, but that is the one that I would recommend as I haven’t tried the other three. Feel free to use the links to help you make informed decisions though. I’ve used my own site to promote the products and Podia to actually handle the processing. But it’s entirely up to you how you would like to implement this. I was recently looking at Dina Rodriguez (who I still need to set up our interview together. haha, I’ve been too busy) and Syd Weiler (who I’m convinced is made of pure illustrative magic.) who have both set up shop on Patreon. They both make whatever they want to support their community, and the community supports them back to get access to the resources they’re creating. 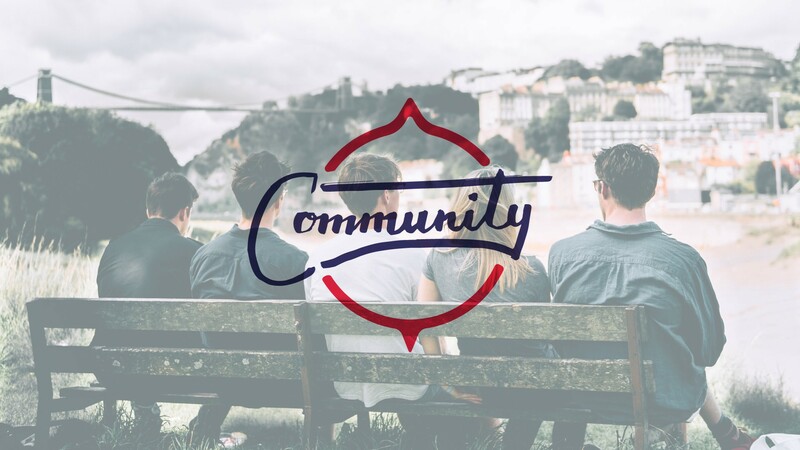 This solution is excellent for people who are into building and supporting a significant community of people who are interested in the same things as you. One of the things that come from taking on clients is the number of concepts or assets that go unused during a project. If your contract doesn’t say that the client gets any unused concepts or sketchbooks or computers (yeah contracts can get vicious like that, which is why I always use my own with clients), then you may be able to take some of the work that is on the cutting room floor and turn that into digital assets you can sell. Definitely look over what is agreed upon, what is allowed, or what is ethically sound to figure out if you have the ability to repurpose those concepts in any way. Then you can focus on putting together some “mock logos” or “seamless patterns” or whatever you want to your heart’s content. 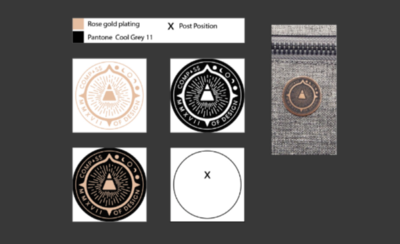 I’ve seen a lot of cool examples of designers selling placeholder designs for those who have to quickly mockup things. Juliane Bone, from our community group has set up shop on creative market selling templates and specific images for use in web design / app design. 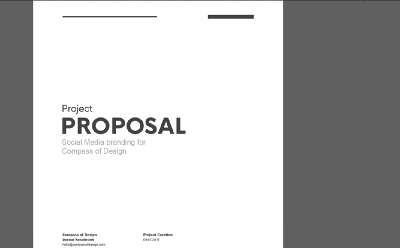 She’s done a lot of writing on the Compass of Design’s publication and does really great studies on branding through her social media channels. She’s built a decent following and continues to supplement her shop with things she does around the creative space. Using your certain talents for design, development, and other marketing stuff, you can leverage what you know as a designer and any systems you’ve put into place to help your work, all to help other people succeed as well. People love to use products that save them time. Templates are a good way to give your customers a shortcut to getting their work done quicker. One of my friends within the community, Brian Hermeljin, does a really good job of creating patterns. He’s an illustrator by day, creating really great posters and other work, but he’s also taking a lot of what he’s created and putting it up on the marketplace as digital resources. Your creative skills can be put to use in all sorts of ways. If you’re an icon designer like my friend, Kyle Adams, you could throw some really cool icons together and lay that out as a pattern or icon pack. Illustrators could do the same with pattern brushes, swashes, or other types of assets. Since starting the community, one of the things I’ve always wanted to do is have merchandise I could send to members just for being a part of the group. I spent some time working with various print companies which I was able to document and teach about my process with each. Physical goods are very demanding but I know that there are a lot of people who have made their work a passion by creating physical things. Brittany Castle, another designer/ illustrator within our community has been making beautiful prints of her illustrations that help empower the women in the deaf community. Her work is a mix of fantasy, sign-language, and vividly colored imagery. All of them feature some piece of the community she’s a part of. She makes prints of her work and sells them all through Etsy. Brittany is very active in helping support deaf artists which is one of the coolest things I’ve seen someone doing with their talents. But stickers can be a great way to put together a small or quirky design that people identify with. I love the stickers I have gotten from random people and brands, each a piece that represents a small part of me. I have stickers all over my laptop, some were given to me, some were bought along side the other products I buy from friends, and some I’ve actually made myself. 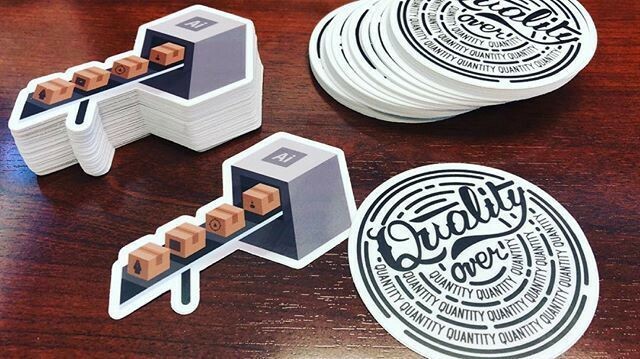 Stickers are a fun type of physical good that you can add to product orders (if you’re feeling generous) or sell outright as standalone products. Just make sure the margins work for you because doing small print runs isn’t always that cost-efficient. Take a look for some Shopify or Etsy creators who have made stickers work and see if it’s possible to work for you. I’m thinking I’m mainly going to be making my products to give to members of the design community, generally at no cost to them. I’ve shipped so many pins, stickers, and letters out to members across the globe, letting them know that I truly value what they’ve brought to what we’re doing with Compass. My friend Daniel Coverdale, who works as a Web and UI designer out of the UK, has a love for rally sport. He creates awesome vehicle illustrations which he creates for the other fans of the sport. He’s built himself a shop that sells things from keychains, mugs, t-shirts, stickers, prints, coasters, buttons. All the swag you can think of, he’s got the best looking kind of it. Dan runs a business on the side of his day job which, as someone who runs 2 businesses as well, knows that kind of commitment can be pretty worth it. Dan is using his talent in web design to create the site as well as his illustrative skills to create these physical products and get them out to the rally community! I don’t know if you’ve noticed, but I currently teach everything that I know for free. I’ve been able to learn everything I know through content on the internet, mainly most of it being free content, with some of my knowledge coming from paid online courses. Because of how much I’ve been able to learn, one of the best ways that I learn is by teaching it back to people who are just like me, trying to get better by consuming valuable content on the internet. But through this content, creators have other ways they can generate income from making the things they make. **One of the big focuses for me this year is more video content. ** I love making videos (sadly my camera broke and I’ve been scrambling for a replacement since). But making and sharing Youtube videos can be a good way to not only teach what you know, but if your audience is large enough, you might be able to use it as a marketing channel for your own creative ventures, or even to generate sponsors or ads to help out. **I don’t plan on doing ads or sponsors **with my content because I would rather only promote the things that I feel will benefit you the most. So if you ever hear me talk about a product, it’s because I truly think it’ll help you better than what you may currently be using. My newsletter for Compass of Design is education based. I give you a topic that I’m focused on learning or that a reader has asked about each week and share everything that I know about that. However, educational content is not the only thing you can use a newsletter for. 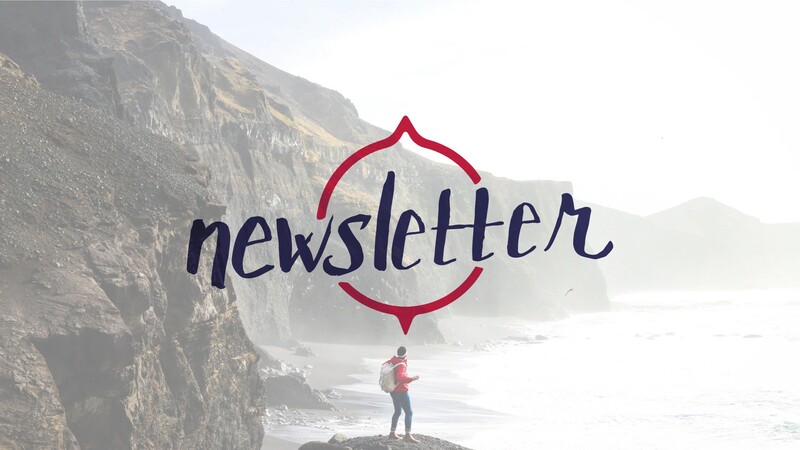 If you had new releases of products, a new course you’re working on, or various events or shows you’re going to be at to sell your goods, then a product focused newsletter would be great to use to help showcase what you’re working on. Remember that a person’s inbox is sacred, if you have a hard time believing that you’re doing something valuable to help other people through what you make, it’ll be even harder to get people to care about what you’re making on top of your own belief. Keep the content relevant and the products true to what people are asking for. Lastly, another great way to use your skills to help generate some more income for you is to package a highly specific skill that you know how to do and teach that through courses or workshops. My friend Kyle Adams has created a great course focused on helping designers and illustrators choose more effective colors for their projects. This skill is something that is very haphazardly executed by most people, but after hearing time after time that he has great color choices, this got him thinking about how he might best be able to help other people with the same skill. I’ve gone through this course and it’s very well produced and gives me some great ways to formulate great color choices, especially since I’m slightly colorblind. This takes guess work right out of the process of choosing colors. Not every type of designer needs to do this, but helping out other freelancers with their workload is something that is a huge help to their business. I run So Magnetic on the side of Compass, and I’m always looking for creatives who might be looking for some extra work. Though I can’t always guarantee what work comes in, I like to ask people who fit the strengths that I’m looking for if they’d be willing to work with me on specific projects. As a remote company, this flexibility means that we can scale teams to meet the scope of large projects and scale back to meet the needs of smaller clients. I’m always reaching out to designers from the Compass of Design Community with opportunities as they rise up, or pointing them to clients that So Magnetic is unable to work with. Katie Wood, another one of my friends inside the community, has been using her skills as a web designer to create and manage the site for her company, Heart & Sola, which creates beautiful wood flower arrangements for wedding events and other occasions. Though her passion isn’t necessarily “design” related, she carries what she has learned along the way by being a designer and can directly apply that to her business. Katie has been building her business in preparation for being able to support her passion as a full time gig. By building upon her strengths, she’s able to more effectively sell her service to other people. Where can you take this? I would hope that this has been a great look into some of the ways that you can use those skills that you’ve worked so hard to improve, and make those skills work for you. 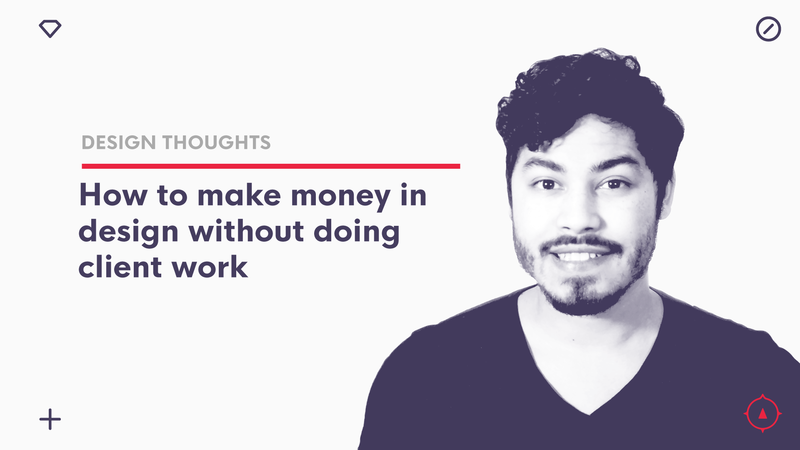 Making money on the side may mean that you’re running a fully scaleable business as well, so make sure you do some thinking about whether or not this is right for you to pursue. But I hope that you can look at these examples of people within the community for inspiration on things you’re able to do with your skills. If you have any questions about how to do this, what I would recommend, or even questions about how to run an online store, let me know and I would be happy to help. What should I be doing as a designer if I don’t want to do client work? With my history as a web designer, I don’t always consider what it would be like having to work with physical products. And because my focus this year is only taking on branding and logo design clients, I want to make sure that if you ask me, I can give some pretty good recommendations still on how to work for print.